The final chapter of the Norse-inspired journey comes to a close, with the decision-making - as always - up to you, the player. As told in the previous games, a series of events have built up to the current collapse of the world. The sun has stopped revolving, the gods are dead, the ancient stone-armored Dredge have reappeared, and a world-devouring serpent has appeared out of nowhere as the darkness fills the skies. A caravan party uniting men and Varl flee to the capital of Arberrang, while spell weavers who claim to have a solution to the darkness try to prevent the approaching threat. Add in upheaval within, and outside, the walls of the city, and this sets the scene for the climactic third entry in the saga. 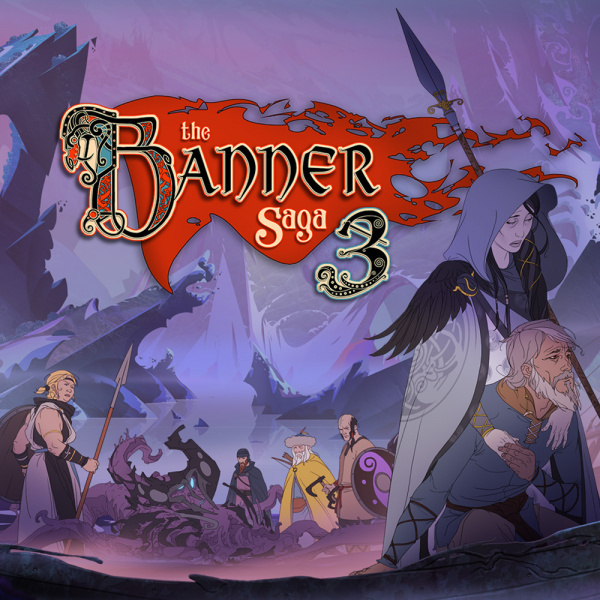 As immediate as the first two games were to establish the scene, The Banner Saga 3 manages to further streamline the experience. It achieves this by making the assumption that the player has played the existing two games and once again offers a recap to jog any ailing memories. 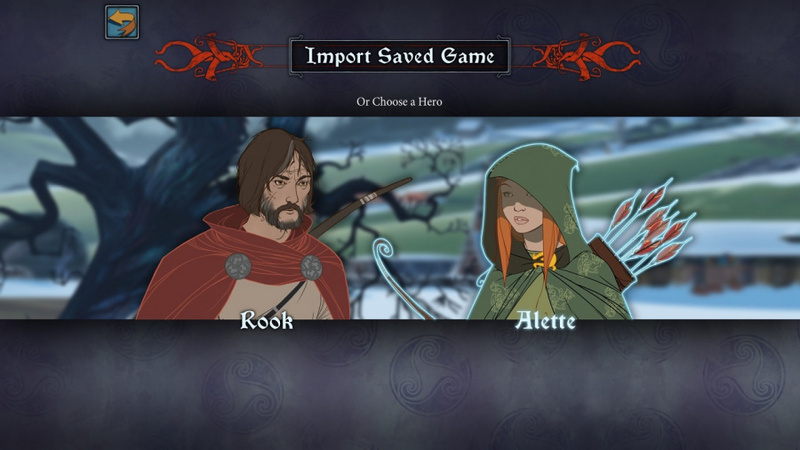 With both the battle and dialogue being somewhat refined in the second entry, the tutorial has now been reduced to a single option in the main menu of the game with no more handholding in sight. This is a smart move by developer Stoic, rather than attempting to shoehorn it into the main game, reducing the immersive nature of the storyline. As a result, the journey kicks off right away with multiple battles in succession. Once again, you start out selecting Rook or his daughter Alette, and have the option to import your save file, assuming you’ve played the previous games. What sets the third game apart from the existing two is the conclusiveness of the story. You’re here to decide the world and characters’ fate, and the themes from the beginning of the third chapter continually remind you of the hopeless odds your caravan party and the general remaining populous of the world are up against. The bleak reality of the situation has hit humanity and all other species like never before, and this is very much reflected by the turmoil that unfolds within this entry. Every decision and battle is tied to themes of hopelessness, where characters’ mental and physical strength will be tested. These worldly pressures are once again delivered via verbal exchanges and tactical combat. The text-based conversations will challenge you, with solutions not always possible and dire outcomes unavoidable. This aligns perfectly with the finality of the third entry, and actively illustrates how the fate of the caravan and the surrounding world has perhaps already been decided. The pacing only adds to this, with the amount of decision-making required making you feel uneasy as you move one step closer towards the end. This flow is maintained by tackling one problem after the next in hope it will pay off, and the story is arguably more consumable as it doesn't feel the need to establish each character again - even to the point of removing certain interactive features. Saying this, it's still sustained by plenty of engaging conversation during text scenes, cut scenes and battle dialogue. As always, the verbal exchanges can be hostile - don’t expect the story to just fall into place. Standard replies may not always lead to your desired outcome; like the existing games, it can lead to a battle that may have been preventable. 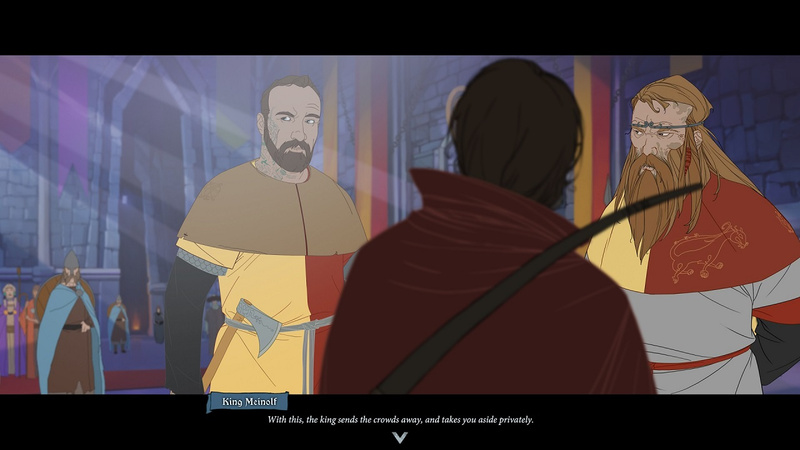 The tactical turn-based battles in the game, like conversations, have much more weight this time around with the clock ticking. For the most part, each one has a greater sense of importance, with the story convincing you that the consequences are higher than ever before. The battles still could be considered the weaker aspect of the game, though. With no real apparent refinement to the tactical fights, if you didn’t necessarily enjoy this aspect of the title in the previous editions, or felt battles lacked depth somewhat despite the second game’s enhancements, don’t expect the core idea to change in your favour. While there are more gripping moments and enemies to take down - with a nice sense of reward when you do defeat or out-strategise a tough foe - some fights overstay their welcome due to wave-based objectives (fortunately you can eventually flee), and the A.I. itself can still be a bit too predictable from time to time. At the very least, there are some new enemies posing unique threats in battle and even unexpected allies. Due to the scale of the situation in the final game, additional characters can be called upon in battle - encouraging you to experiment with team chemistry rather than stick with a fixed party. If it's all too much, the ability to adjust the difficulty is still present, with the consequences being how quickly characters take to recover after hostile encounters. Again, though, there’s added assistance in the form of items and the usual ways to enhance your party by earning 'renown' to promote characters, upgrade abilities and create the ideal team to handle all forms of threats on the battlefield. Compared to the existing outings, however, character development might not feel as rewarding for some due to this game being the finale. If you’ve played the first two games, you should know what to expect. Naturally, your investment in each character in this entry is a do-or-die approach, as fate is in your hands. 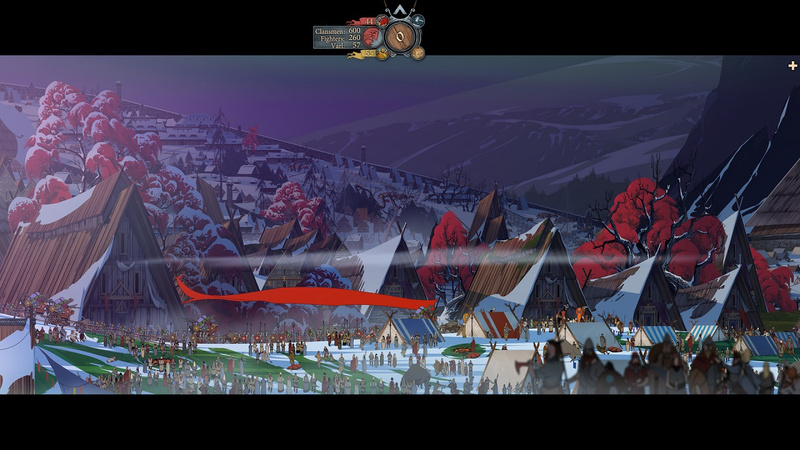 Visually speaking, nothing in The Banner Saga 3 has noticeably changed; for a game based on the world’s demise, it still couldn’t look any more beautiful. The stunning landscapes and hand-drawn characters return. The character animations during dialogue exchanges remain subtle but somehow add so much life to each scene. The cut scenes are wonderfully done, and when voice acting can be heard it only enriches the storytelling. The battle animations are still not quite as gripping or smooth, but this doesn't detract too much from the package. The soundtrack is also on par with the visual spectacle - with the same atmospheric noises that were featured in the first two games - and Austin Wintory returning for a final full-length score which has been recorded by a live orchestra. Collectively, all of this adds up for a great conclusion to the saga. From the beginning, this series has very much been about the journey to the destination in both a literal and figurative sense, and now we’ve arrived at the end, it's clear that this was the strongest point all along. The development of characters and the gradual progression of the story naturally have less emphasis this time around, as this is the end of the saga, but what you do get is multiple endings with fitting outcomes. Now all that's left is for you to decide whether or not this game and series are for you, much like the many choices present within the games themselves. 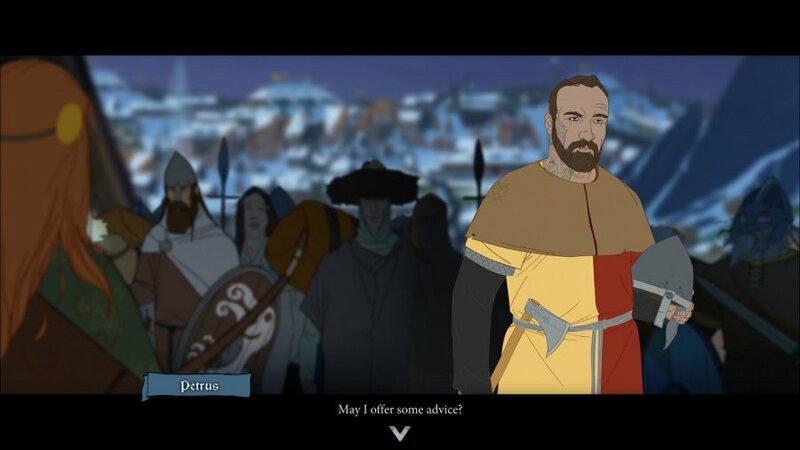 The Banner Saga games look good. I'll seek out a physical release of the trilogy. End of September release I believe. Grabbing the physical trilogy. Even if one of the games is downloadable, it still saves 10gb+ of space which is much needed, given my 512gb card failed and I had to return it. Using a 400gb card for now. So any game that's not 1st party, I deleted the download versions and am using the physical carts. Ya, it turned around when my micro SD card broke. So I switched to cartridges for all 3rd party games, which means I have plenty of space. And since that was the actual reason I was not going to buy the game, the problem is now no longer a problem. Hence me buying the game. Doesnt mean I like it. But if I have space, I'm not gonna skip it. I made it very clear the reason I was skipping it was because I simply did not have space. @JaxonH I'm just riding ya lol. I have a 256gb and it's getting close to full now. Some of the Indies titles are getting big. I dl'ed Yoku's and Hollow yesterday and combined that was about 7 gigs. I think I have about 30% or less on my space. Good thing is the card I bought back last year around this time was close to $120 and now It's only $65 on Amazon. Cut nearly in half after a year. These are coming down in price much quicker then I had thought they would. I may pick up a second at $65. will buy the retail cart regardless on how many games they can stuff onto it. one quality trpg title should do me! @GraveLordXD It's recommended that you at least turn off the system before you swap cards. You would at least need to know what games are on what cards though. Not sure, but I'm assuming the 3rd. And like Spoony said, you have to power off the system. I was using the Nyko kickstand that stores an spare but it started eroding the plastic lip that catches, so I swapped it back to the stock kickstand. @JaxonH Just curious how much a 400gb SD card costs? I'm still using the Switch internal hd drive but I bought my 21st game this weekend and had to archive Paladins for the space. Too bad the physical release is cheaping out with an undersized cartridge and sticking the user with a sizeable mandatory download. I might consider it otherwise. Glad I held out for the trilogy. Looking for to it all at once. I am glad it wraps up well. The Banner Saga is another Kickstarter success! Another review!?!? Watch out for Filip Miucin. I’ve been on the fence on this series, and would probably have bought it if the physical release was an actual physical release (instead of a «download 1/3 yourself» deal). As it is, I’ll probably end up skipping it entirely. It's even cheaper then I was talking about above at $60 US. Works great for me and comes recommended. @JaxonH You’re worried about space on a 400GB card?!? Archive games you’re not playing. I use a 128GB and I’m 100% digital. Maybe I’ll get a larger one some day, but the Switch kind of makes that unnecessary. Of course I'm worried. I had a 512gb card and was down to just 93gb. I have more than 400gb worth of digital games. And I'm not gonna play musical chairs with my games. It's not a permanent solution. Each and every game I buy needs to be installed, permanently. If I'm just gonna redownload I may as well use a cartridge. It's far faster. The advantage of digital is immediate access to whatever you want to play at any given time. You lose that when you archive. @JaxonH Yowza. I download a lot of games. Sounds like you download waaay more, haha. I don’t archive a lot though. Just the stuff I know I’ll never play again. I keep everything else right on my Switch for quick and easy access. I guess eventually I’ll need to upgrade my card, but my internet is pretty quick, so archiving isn’t a bad option to fall back on. Ya I bought every 1st party game digitally, aside from 1-2 Switch, including the 2nd party games FE Warriors, Hyrule Warriors, Pokken Tournament and Mario Rabbids, and all the top 3rd party games like Skyrim, DOOM, Wolf 2, Resident Evil Revelations 1 and 2, LA Noire, Okami HD, Dragon Quest Builders, Minecraft, Rocket League, Rayman Legends, Ultra Street Fighter II, Mega Man Legacy Collections 1 and 2, Mega Man X Collections 1 and 2, Street Fighter Collection, Octopath Traveller, YS VIII, Shining Resonance, Monster Hunter Gen Ultimate, Valkyria Chronicles 4, etc etc. And Pokemon, Smash, Diablo 3, Doom Eternal, Fire Emblem, Yoshi, Metroid Prime 4, SMTV, Dragon Quest Builders 2, Dragon Quest XI, etc will all need space when the time comes as well. Plus all the actual indies and Neo Geo games and digital exclusives... it's amazing how fast it tallies up. My plan is go back to cartridges where possible to save space, but at the end of the generation, buy the biggest card that exists (hopefully 1 terabyte) and redownload everything onto one card then. Will probably need 2 separate 1 TB cards, and keep the 2nd in the new plastic Nyko kickstand that houses a spare SD. 2 TB should stand a chance holding all the worthy games of this gen.
@Spoony_Tech That looks like a decent price. I've only had the Switch since November and have mainly stuck to smaller downloads buying the larger games on cartridge. I've come to like having them instantly accessible just by clicking them on the home screen and am planning on downloading exclusively from the Eshop when I can. I've had my eye on this series for a long time on steam but have never pulled the trigger. Once the physical version comes out I'll pick it up. This game is absolutely fantastic, I'm on the last chapter now after plowing through 1 and 2 earlier this month. Still have physical on preorder (thanks GCU while you last!) Not sure about the game, but the 80's animation style roped me. Battles don't seem to be the epitome of SRPG play, but the "choose your own adventure book" aspect seems cool!